Not much to add to the title; I’m taking a little time off and will be back in mid-January. 2009 flew by, and I’m expecting more of the same in 2010. Everyone have a safe New Year’s Eve and a happy New Year’s Day, and I’ll see you next year. 2009 went by super fast. Here are my top ten events in Japanese baseball for the year that was. 10. Koji Uehara, Kenshin Kawakami sign with MLB teams; Yomiuri, Chunichi don’t notice. Uehara and Kawakami both signed with MLB clubs early in 2009, meanwhile, their former teams finished 1-2 in the Central League, with Yomiuri taking the Japan Series Championship. 9. Tuffy Rhodes hits 450th NPB home run. Tuffy continued his remarkable comeback in 2009, reaching 450 homers early in the season. A healthy 2010 will see him reach 500. 8. Rakuten makes first ever post season appearance as Katsuya Nomura retires. Rakuten to reached the second round of the playoffs in their fifth year of existence and appears to have a bright near-term future. Nomura restored his legacy with Rakuten after arguably failing to revive Hanshin and his wife’s ugly tax fraud problems. 7. Mazda Zoom-Zoom Stadium opens. Japan’s first new stadium in years opens to rave reviews, and while the Carp look competitive at times, they ultimately slump to a fifth-place finish. 6. Yusei Kikuchi stays in Japan; gets selected by only six teams in draft. After a lengthy cross-Pacific courting process, Kikuchi gave into social pressures and choose to stay in Japan and enter the NPB draft. After speculation that he could get picked by 10 or 11 teams,he winds up getting taken by six, with the remaining six teams grabbing other players uncontested. He eventually signs a max contract with Seibu. 5. Hideki Matsui wins World Series MVP. Matsui leaves NY in style with a dominant World Series performance, despite not starting any of the games played in Philadelphia. 4. Bobby Valentine leaves Marines. Bobby V goes back to Connecticut after a successful six-year run with Chiba Lotte, in which he turned around a moribund franchise and became one of the finest advocates for Japanese baseball in the West. 3. Yomiuri wins first title since 2002. 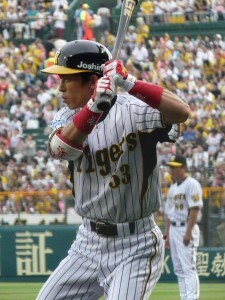 It took seven years for Yomiuri to win a Japan Series post-Matsui. The Giants won three times in his ten-year Giants career (1994, 2000, 2002). 2. Ichiro collects 200 hits for ninth straight year. ’nuff said. 1. Japan wins second straight WBC title. Japan is now 2-2 in WBC appearances, avenging its embarrassing 2008 Olypmic loss. And if I missed your time zone, I hope you enjoyed the video all the same. In the event the Marines are unable to land Stults, the Marines are preparing a new list of candidates, which could include Yankees farmhand Romulo Sanchez. I don’t think I need to repeat my opinion, but I will — why negotiate for a pitcher who is under contract when Lenny DiNardo is available as a free agent? If any of the teams in the title of this post are reading, you could all use a suketto pitcher, and Lenny DiNardo is still unsigned. Give Lenny a shot. A question for those of you who regularly watched the Yokohama BayStars in 2009: what is Daisuke Miura’s best pitch? I didn’t write about this when it happened, but Hanshin OF Norihiro Akahoshi abruptly retired the week before last, citing back and neck problems sustained from an injury diving for a ball last season. I try not to let my bias as a fan show through too much, and in many ways, I’ve become a much more neutral baseball fan since starting this site. But I lived in and around Osaka for a couple years in the early 00’s, and I have dropped a few hints that my NPB team of choice is Hanshin. The Tigers’ 2003 Central League Championship run was the most exciting baseball season I’ve ever been around as a fan, and also, in a way, the most bittersweet. A doctor friend of mine managed to get me a single ticket to game three of the Japan Series, but it was rained out and I had to return to the US the following day, so I didn’t get to go. Anyway, back to Akahoshi. I don’t think I have anything particularly poignant to say here, but Akahoshi was one of the guys that keyed Hanshin’s revival this decade. Despite being a mid-round draft pick he started his first season with the ichi-gun team, taking over center field from Tsuyoshi Shinjyo and leading the league in stolen bases. He missed half of 2002 with an injury, but still lead the league in stolen bases. Akahoshi entered his prime in 2003, when he started a run of three consecutive seasons hitting .300 or better with at least 60 steals. Despite not being as prolific on the base paths as he had been earlier in his career, Akahoshi had remained a threat to run and a respectable on-base guy until the end of his career. He’s going out early, but Akahoshi had the good fortune to play during a golden age of sorts for Hanshin, and will certainly be closely associated with Hanshin’s success in the 00’s. I’ll leave with this pic of Akahoshi I swiped from Wikimedia Commons, the first image I’ve ever run directly on NPB Tracker.